Our arrangement with this ranch is the stuff dreams are made of - over 50,000 acres teaming with wildlife. A 13 mile by 6 mile contiguous parcel perfectly laid out for the sportsman. Dotted with wetlands and literally every square inch being perfect habitat for grouse and prarie chicken. The grasses that ring the wetlands and lakes make perfect pheasant habitat. Flushes of dozens of birds from cattail patches are not uncommon. Lakes and wetlands range in size from 1/2 acre to 340 acres and are filled with migrating waterfowl by the 1000's. The Sandhills are also filled with doves and as the migration gears up they concentrate in large numbers. This ranch has trophy trout fishing that make cast and blast adventures possible. Rainbows in the 20"-26" range are not uncommon. We are limiting the amount of access to the ranch in order to preserve the prestine nature of the ecosystem. 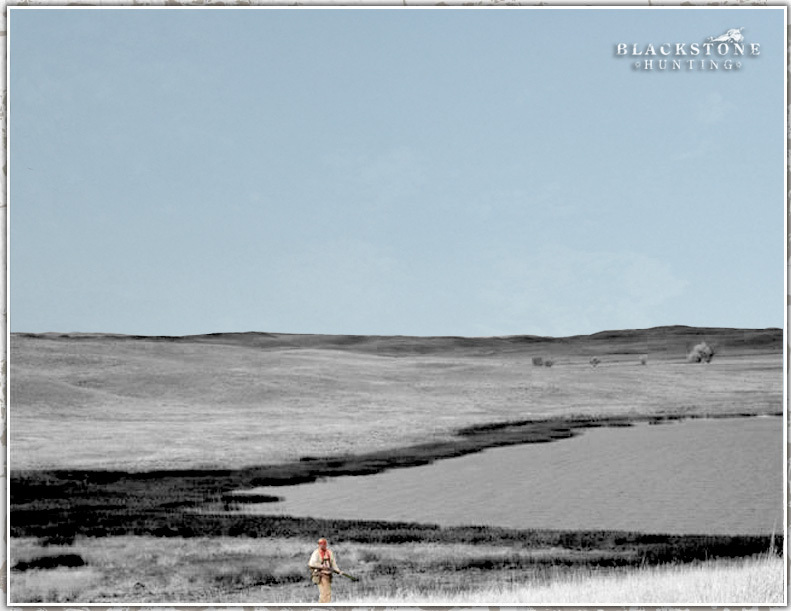 Possibly as few as 3, 6-8 man hunts per year on the entire ranch. Call and check availabilty of dates.